To meet the altitudes of a thoroughly developing nation, a country needs to match the competition in every aspect. One of such that India needs to cover up is renewable energy. Scarcity of finely and moderately skilled workforce is proving to be an obstacle in the country’s RE sector development. The unavailability of a skilled manpower is a problem that needs to be solved, says a joint survey conducted by Council for Energy, Environment and Water (CEEW) and Natural Resources Defense Council (NRDC). What determines the standard of a training programmer is the Quality assurance system which is not at par with the international standards and actual industrial requirements when it comes to the Indian context. 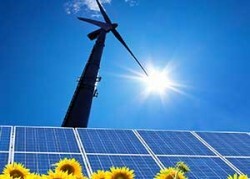 The renewable energy industry in India as a whole gave employment to around 80,000 people by November of the last year. This figure might sound really flashy but in order to match the international competition, by 2022 the number has to be more than a million people having jobs through this Industry which is definitely going to be a promising task. Mrs Arunabha Ghosh, CEO at CEEW, has shown her concerns over this issue by saying "There is a clear need for improved training and certification programmers, which are accessible to workers of varying backgrounds and skill sets in all States". India is said to achieve an ultimate target of 60,000 MW of wind power generation with 100,000 MW solar power generation but can this be done without having a sufficient and highly skilled workforce in the field? Lots of facts and concerns over this booming industry with certain, definite and obvious queries about the workforce. Something needs to be done, and done in a very organized and guaranteeing manner. Then and only then there is a possibility for India to get its deserving seat in the class of developed nations with its huge renewable energy industry.